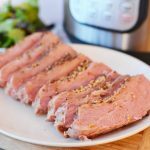 Instant Pot Corned Beef Recipe is the perfect dish for the upcoming spring season. Celebrate St. Patrick’s Day or any other day with this easy and delicious authentic Irish dinner made in your pressure cooker. FOR A PERFECT SOUP TO GO WITH THIS RECIPE, CHECK OUT MY INSTANT POT POTATO SOUP! Now that we are about halfway through with winter, it is time to start looking forward to Spring. Who doesn’t look forward to Spring? There is so much to love about it. The warmer weather, the flowers, the coming of summer and one of my favorite holidays: St. Patrick’s Day! St. Patrick’s Day-What’s For Dinner? I love St. Patrick’s Day. It is one of those holidays that is just… well, fun! There aren’t really any obligations, you don’t need to travel to see family, there is no gift shopping. All you need to do is eat, drink and be merry. There are so many ways to celebrate St. Patrick’s Day, from going to a huge party, drinking green beer, going to a parade or just having a nice, traditional Irish meal with your family like our Instant Pot Irish Colcannon Soup! This year, I’ve decided to keep things simple and make a nice traditional Irish meal. Of course, when you think of any Irish cuisine, one of the first things that comes to mind is Corned Beef and Cabbage. Lately, I’ve been in love with my Instant Pot, and I’ve already got a great recipe for Instant Pot Cabbage. So I thought making Corned Beef in a Instant Pot is a great idea! 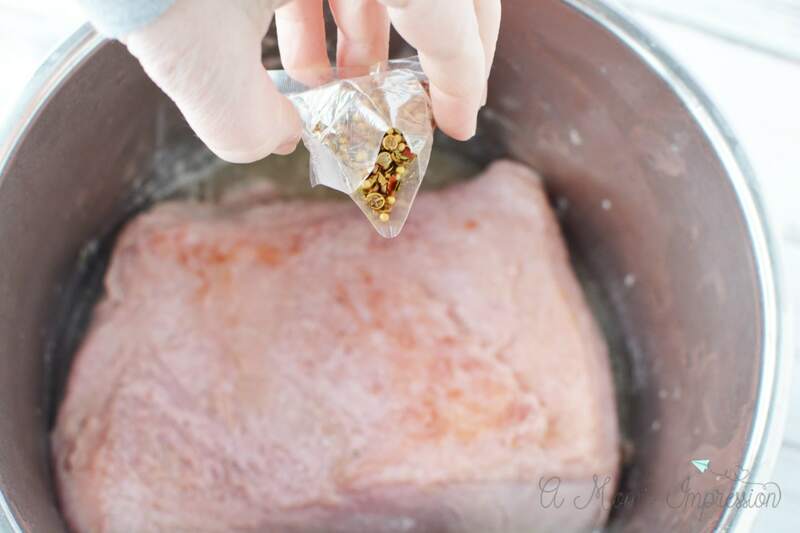 Beef Brisket is a notoriously hard meat to cook with tender results. I know I’ve had my fair share of failures with a brisket that took about 3 minutes to chew each bite. 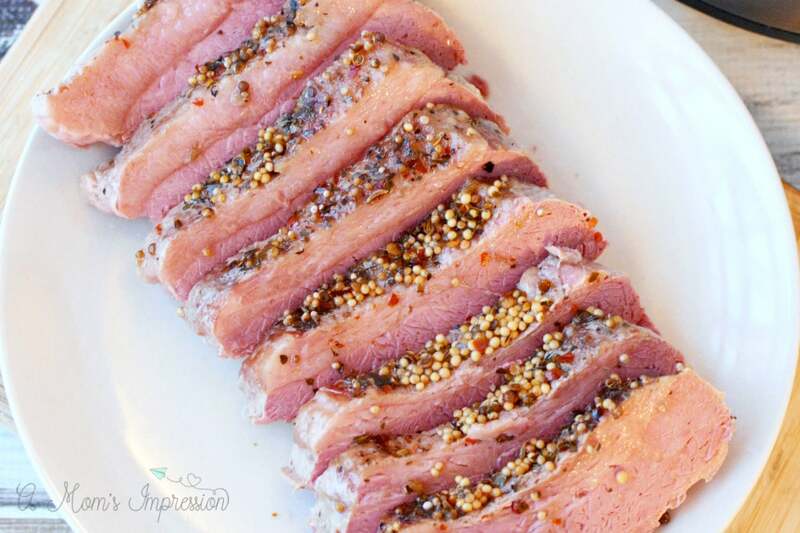 That is the awesome thing about the Instant Pot, you are almost always assured to get tender, juicy results with even the trickiest of meats! 3 lbs Beef Brisket- some beef brisket comes with the seasoning already on it. Some comes with a spice packet. If you don’t have either, you can always make your own. Add oil to Instant Pot and saute beef on both sides until browned. Place fat side up in the instant pot. 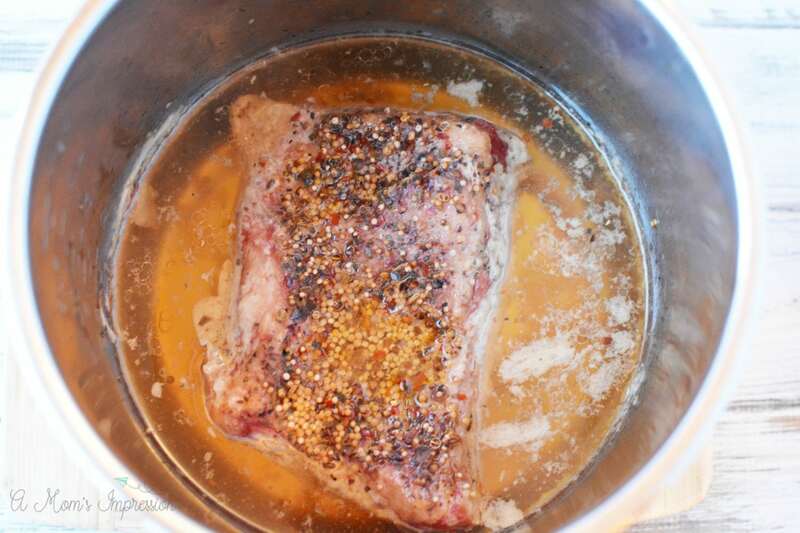 Add water and sprinkle seasonings on top of meat. Place the lid on the instant pot and seal shut. Set the instant pot to manual, high pressure for 35 minutes. When cooking cycle is complete, let pressure release naturally for 35 minutes. Open pot, remove meat and slice before serving. It is easy to remember the cooking and release times: 35 and 35! The meat came out fork tender and I know it will be a hit for your whole family. 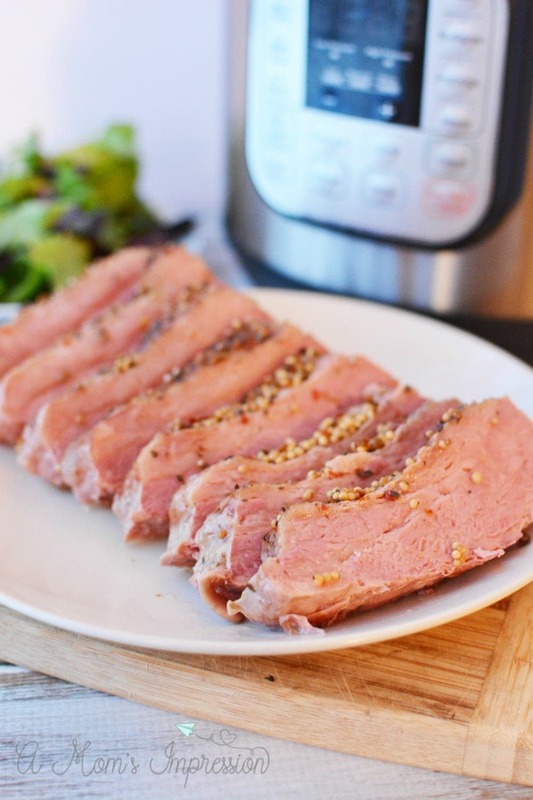 Serving your Instant Pot Corned Beef is simple as well. It is a great idea to strain the leftover cooking liquid and drizzle that over the meat. You can also serve it with a fine gourmet mustard. 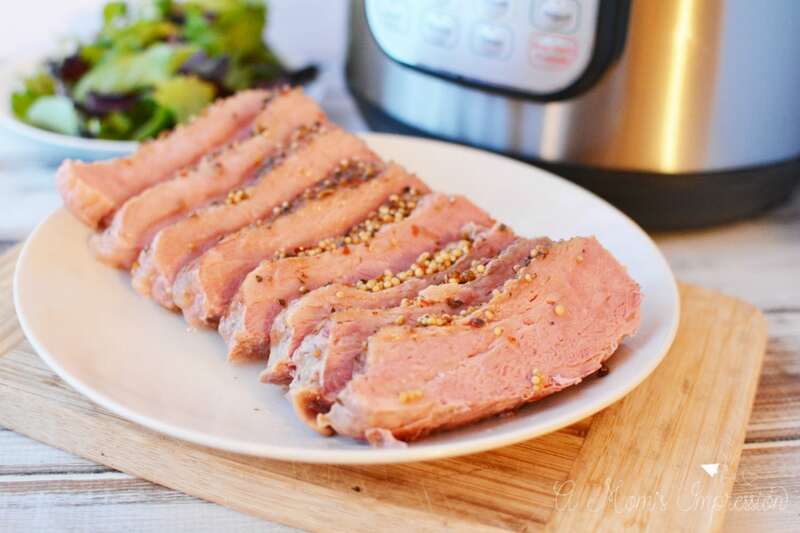 Instant Pot Corned Beef Recipe is the perfect dish for the upcoming Spring season. Celebrate St. Patrick's Day or any other day of the week with this easy and delicious authentic Irish dinner made in your pressure cooker.